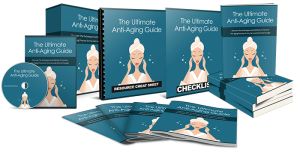 Our new products available this week include how to slow down the aging process and how to increase your sales with well-written sales pages. This week’s free digital product that you can resell at any price is an ebook called Article Writing Secrets. Q: In television land, what is the Darrin Syndrome? A: When they tried to quietly switch actors who played Darrin on Bewitched. Visual Matters – Visuals have quickly become a crucial part of content marketing. Our brains react to and process visual stimulation much more than mere text so using effective visuals is critical. There are many places to get free stock photos but you may want to rise above that. Find quality photos or create your own. Infographics and videos are also a very effective way to grab your readers and increase the chances of turning them into customers. People are more likely to watch a short video or scan an infographic then read a text-only article.